Bertsch Utah: The Bertsch Utah Log Cabin is a 5m x 5m Log Cabin featuring wall logs of 45mm thick and double glazed windows and doors. Featuring the Optional Veranda and Integral Canopy (2.5m Wide x 3.0m Deep i.e. coming out from cabin) this log cabin is the ideal garden office or similar. 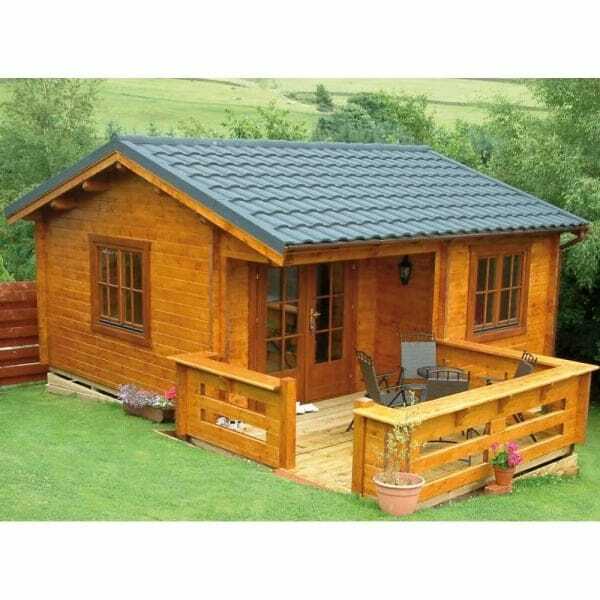 Built to the usual Bertsch Holzbau Log Cabins very high standards it is simply excellent value and a very attractive garden office style log cabin.